Was up on the terrace, Mi, walking like we used to. Admiring the canopy of trees. Watching the crows perched on the water pipes. The pigeons flitting around aimlessly before bed time, probably looking forward to the morning when we scattered grain for them to eat. Watching the moon rise. Thinking it is time to go downstairs and put the finishing touches on dinner.Then deciding – one final round before we go. Across our terrace, I can see the terrace opposite. As usual, someone climbs the ladder leading to the surface of the water tank. As usual, I worry, praying they are careful, perched like that. 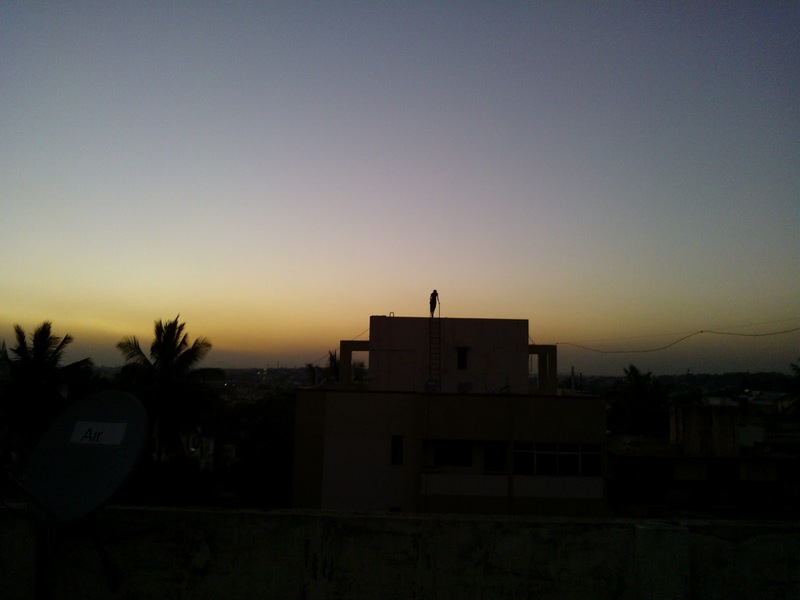 Then, as the person climbs down and walks away, I return home, relieved. Ah!The words have the power to heal. And the picture is just so serene.